When it’s time to sell a house, pet owners face unique challenges. No matter how endearing your pets are to you, potential buyers rate them as some of the top off-putting issues. So how do you get a good price for your home and sell it quickly? Great staging is the key. It may seem funny to you that your beloved pooch or affectionate feline are deal breakers to some home shoppers. 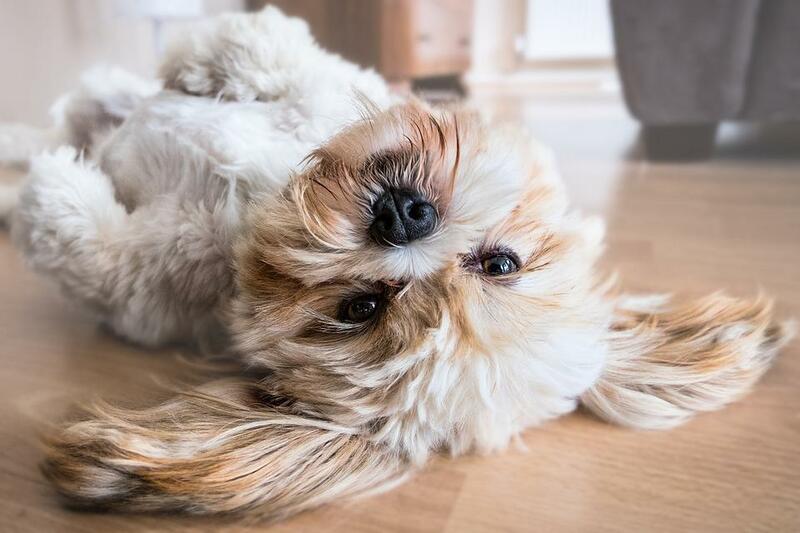 While you may know your furry friend is clean and well-behaved, prospective buyers often envision an entirely different animal. Housebreaking accidents, scratched window sills, fleas, vomited meals and grass stains are just a few of the worries that can run through a buyer’s mind when discovering a pet on the premises. What’s more, some people are allergic to pets, and some are terrified of them. Therefore, it’s vital to remove all the evidence of an animal living in your home. Here’s how to create the illusion your home is pet-free so buyers feel at ease. Odors are one of the most difficult issues for pet owners to tackle, and one of the most important. Little is more upsetting to a potential buyer than walking into a house scented with litter boxes or wet doggy smell. Spraying air fresheners or plugging in a deodorizer won’t be enough. DIY Home Staging Tips recommends starting with a professional carpet shampooer. If odors and stains don’t lift, try replacing the carpeting and padding. Sometimes flooring needs to be removed, subflooring sealed with a strong, stain-blocking primer, and fresh flooring installed to completely eliminate odors. Give everything a thorough scrubbing with vinegar water and air out your home well. Cleanse upholstery, wash your drapes, and give your walls a fresh coat of paint. When in doubt, one idea is to ask a third party to do a “sniff test.” You may need to ask this person to do multiple walkthroughs as you work through layers of odors, so a close friend or neighbor would be convenient. Once your home is completely deodorized, some experts recommend vacuuming daily to keep up with dander and pet hair. Your pet’s items should be stowed right before any showings. This would be anything that counts as pet gear, such as leashes, bowls, litter boxes, toys, gates, crates, and aquariums. Ideally, you’ll take them with you, since potential buyers will be looking in storage areas, closets and cupboards to see how much space is available and how well it is organized. While you’re at it, declutter your own items as well. It’s a step you can do in advance of showings, and when accomplished in an organized manner it’ll put you in a good place when it comes time to move. Edit furniture to make rooms appear more spacious, remove knickknacks, and store your photos and off-season items. Box things carefully and label as you go, then stow items offsite and ready to load into the moving van. When it comes time to show your home, many professionals advise either taking your pet for an outing, or boarding your pet. The latter can be less stressful for your pet in boarding long-term. If you have a family member or close friend willing to open their home for a few weeks, it can ease the strain on your animal, especially if the person is familiar. That also can provide a place for some of your pet’s things, so think through your options. Once you have a strategy for managing evidence of your pet, employ the other basic but important home staging techniques. For instance, natural light impresses buyers, making your home look happier, more open, and more clean. Open your curtains and add lamps to maximize the effect. Redfin recommends enhancing your home’s curb appeal as well. Retouch the trim on your house, mow your lawn and plant flowers. As a pet owner you need to take extra measures to sell your home. First create the appearance of a pet-free home, and then follow basic staging strategies. Your home will be sold in no time! How to Help Your Dog Stay Safe and Happy in Your New Home Florida’s 2018 back-to-school tax-free weekend!